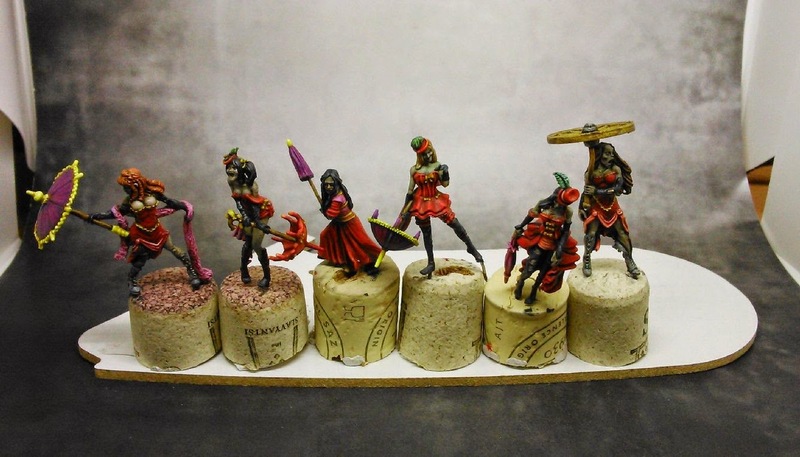 Six Rotten Belles I painted for a buddy. He wanted a uniform look for the whole group of minions. 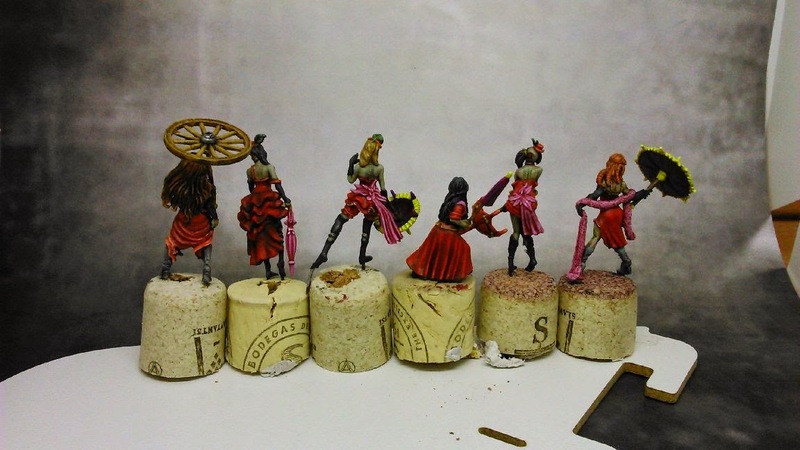 He's going to do the basing, that's why they're just pinned to cork at the moment. Great minis to work with, especially the new plastic ones.